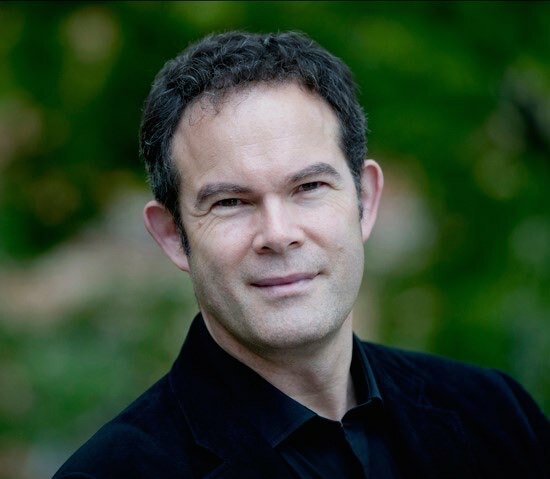 Gerald Finley was named an Honorary Director of the Art Song Foundation of Canada in 2015. Bass-baritone Gerald Finley enjoys a flourishing career as one of the leading singers and dramatic interpreters of his generation. He performs at the world’s major opera and concert venues in a wide variety of repertoire with leading conductors, including Nikolaus Harnoncourt, Sir Simon Rattle, Bernard Haitink, Alan Gilbert, Mariss Jansons, Esa Pekka Salonen, and Sir Antonio Pappano. In opera, Gerald has appeared at Royal Opera Covent Garden, Vienna Staatsoper, Metropolitan Opera, Bayerische Staatsoper, Glyndebourne, and the Salzburg Festival, and at opera houses in Amsterdam, Budapest, Chicago, Paris, Prague, Rome, Tel Aviv, and Toronto. He has sung all the major baritone roles of Mozart and triumphed as Wagner’s Hans Sachs, Wolfram, and Amfortas. His extensive operatic repertoire includes works by Britten, Dallapiccola, Debussy, Handel, Haydn, Korngold, Massenet, Rossini, Stravinsky, Tchaikovsky, and Verdi. In 2013, he marked Benjamin Britten’s centenary year with a performance of Cantata Misericordium in King’s College Chapel, Cambridge. In contemporary opera, Gerald created, to huge acclaim, the role of J. Robert Oppenheimer in John Adam’s Doctor Atomic (Amsterdam, Chicago, ENO London, New York Met, and San Francisco). He created the leading role of Howard K. Stern in the world premiere of Mark Anthony Turnage’s Anna Nicole at the Royal Opera Covent Garden. For creating the role of Harry Heegan in Turnage’s The Silver Tassie at ENO, he won the prestigious Royal Philharmonic Society Award for Singers and earned a nomination at the 2000 Olivier Awards for Outstanding Achievement in Opera. Gerald’s work with orchestra in concert is equally prestigious. He is a frequent guest of many orchestras throughout Europe and the United States, including the Bavarian Radio Orchestra, Concertgebouw Orchestra, Czech Philharmonic, Los Angeles Philharmonic, and New York Philharmonic. He premiered the late Peter Lieberson’s Songs of Love and Sorrow with the Boston Symphony Orchestra, Mark Anthony Turnage’s The Torn Fields with the London Philharmonic, and Reflections on L’amour de loin by Kaija Saariaho. Gerald has made award-winning CDs and DVDs with major labels. His recent awards include a 2012 Grammy for Best Opera Recording (Doctor Atomic from the Met) and an unprecedented three Best Solo Vocal Recording awards at the Classic FM Gramophone Awards: in 2011 for Britten Songs, in 2009 for Schumann’s Heine settings, and in 2008 for Songs by Samuel Barber (all three on Hyperion). He was honoured at the 2009 Opera News Awards for distinguished achievement. Gerald began singing as a chorister in Ottawa, Canada, and completed his musical studies in the UK at the Royal College of Music, King’s College Cambridge, and the National Opera Studio with the support of the Friends of Covent Garden, the Worshipful Company of Musicians, the Keith B. Poole Scholarship, and the Countess of Munster Musical Trust. He was also a winner of Glyndebourne’s John Christie Award. In 2014, Gerald was appointed an Officer of the Order of Canada. In the Queen’s Birthday Honours list for 2017, Gerald was named a Commander of the Order of the British Empire. He is a Visiting Professor and Fellow of the Royal College of Music.